I think we are all up to date by now with the benefit that fitness has on our lives. We understand the effect which exercise has on our body. We know that we need to get huffy puffy in order to have a strong heart and cardiovascular system. We have heard that in order to lose weight we need to move our butts and sweat baby sweat. Well, what if I was to tell you that if you are burnt out, stressed out, maxed out, and checked out, then I don’t want you doing any of that? Yep, you have my permission not to jog, to ditch the Zumba class, and boohoo the treadmill. Your body doesn’t need any more stress; it needs to rest for a while and this chapter is where you get to slow down and try a little Savasana. We want to be the best we can be, achieve our goals, live our dreams, and be there for our loved ones: this is all a natural part of being a healthy, vibrant, alive human being. But unless we include rest and restoration into the picture, we will eventually burn out. 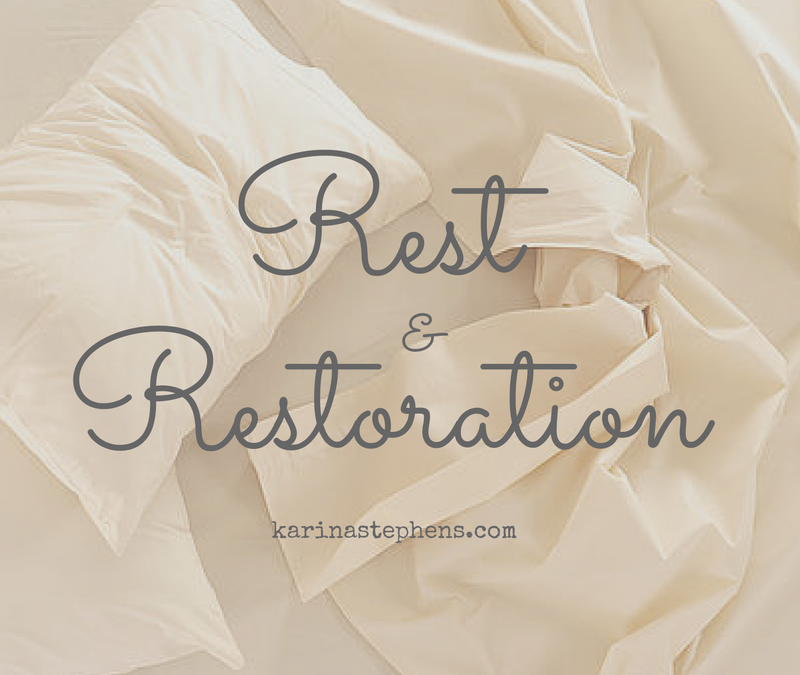 By rest and restoration I am not talking about sitting on the couch doing nothing: it is conscious downtime designed to restore your nervous system and bring you into the para-sympathetic nervous system, which is your rest and digest state. I enjoy meditation, restorative yoga, sleep, walking and stretching. By committing even fifteen minutes a day you will be miles ahead of the game. Normally I will include a twenty-minute meditation with a thirty-minute activity first thing in the morning and this sets me up for the day. I love variety so I might do a walk one day, a yoga session the next, and qigong on the third day. How you structure your rest and restoration time is up to you; the main thing is to do what you love and value this time as an important part of your StressLess lifestyle. Below I will explain my favourite activities and why they are my favourite. Meditation actually aligns the nervous system, takes you out of the fight-or-flight response, and calms down your entire internal organs and systems. With so many benefits it is a wonder everyone doesn’t do it. If you want to live a StressLess lifestyle then, sweetie, you’re going to have to commit to this beautiful practice on a consistent basis and when you do I promise you life will never be the same again. 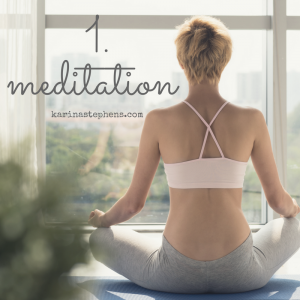 I started off with five minutes a day listening to different guided meditations and built that up to twenty minutes twice a day. I am not saying you have to do this but I’m sure that in the end you’ll want to. The trick is to not beat yourself up; you can’t get it wrong, it’s a win win. At the beginning of your practice be as gentle with yourself as you would a new baby learning to walk. Love yourself through this and as you do life will love you back ten-fold. The aim is to not stop your thoughts but to not be engaged with them. When you notice them, and you will, that’s a certainty, just imagine them float down the river and then go back to your breath or your mantra. There are so many meditation styles and practices around that you are certain to find the one which suits your personality. Try them all and have fun with the process; treat it as a priority and you will soon be living life at the Pace of Grace. 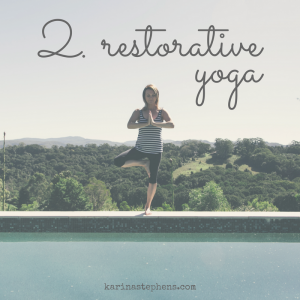 Restorative yoga consists of poses, pranayama, breath awareness exercises, and meditation. The para-sympathetic nervous system is activated during restorative yoga. To do this props are used to firstly support the body so no strain or striving occurs. Specific breath and mind awareness is applied before and during the pose. If you Google gentle yoga or restorative yoga you will find a multitude of videos. I love Gaiam TV as it has some wonderful yoga sessions, and because I subscribe I get to experience a huge array of instructors and trainers and find the ones I like best. You may even find a local class close to where you live and do a series of sessions. 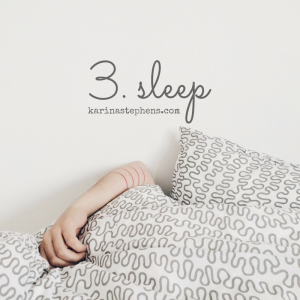 I know that this may sound like a “well, duhhhh” but most of us do not sleep enough. We need to be getting eight to ten hours of sleep when we are burnt out in order for our bodies to be able to heal and restore balance. Even when we are operating at our peak performance we still need seven to eight hours of good, solid sleep, otherwise we start the day operating like a V8 car running on only four cylinders. Sleep energises and restores us back to peak performance, so don’t dismiss it. Also, it’s best to be in bed and asleep between nine p.m. and ten-thirty p.m. before the next dump of adrenaline hits around eleven p.m.
Also don’t dismiss the benefit of a power nap. Having a midday siesta can improve mood, alertness, and performance. Walking in nature is one of the most restorative activities you can partake in. Walking helps burn off and reduce the adrenaline and noradrenaline that has been released in your bloodstream via the stress response. 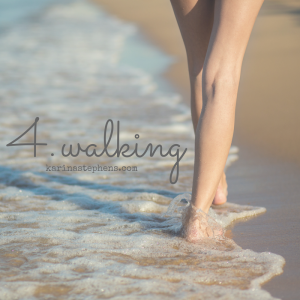 A thirty-minute walk can significantly reduce your stress, improve your mood and get you back into the Pace of Grace. A great practice whilst walking is to think about all the things you are grateful for in your life. Focusing on the hip area will put you back into your power centre, grounding you. Visualising light coming from your heart chakra out into the world will connect you with mother earth. In his book, The Genius Of Flexibility: The Smart Way to Stretch and Strengthen your Body, Robert Cooley says, “Unbelievable spiritual changes result from developing greater flexibility. Becoming more flexible connects you with positive life changes while it disconnects you from objectionable parts of your life. I believe this makes total sense: by stretching for twenty minutes a day we reconnect to our bodies; we breathe into the muscles, tendons and ligaments. We begin to release the tension and contraction from within, and restore balance and harmony into our physicality.